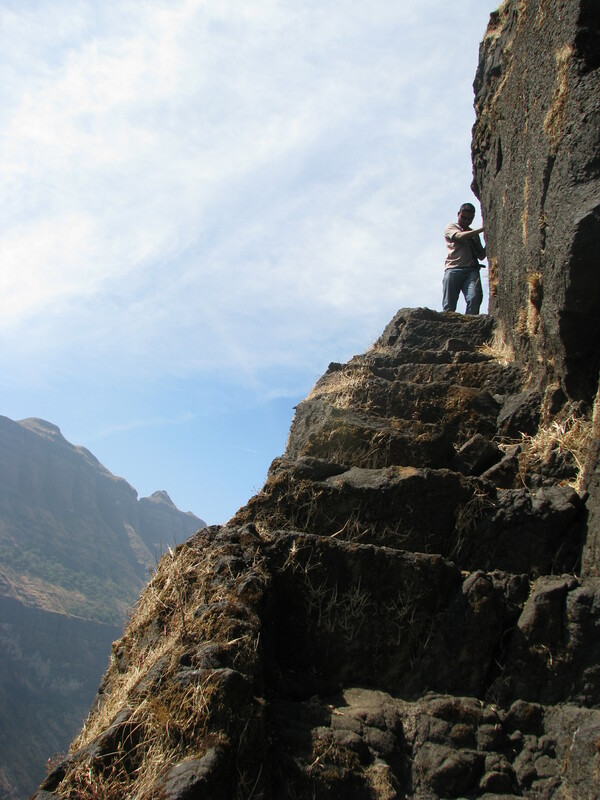 Moroshicha Bhairavgad is located near malshej ghat and is one of the most adventure Treks. 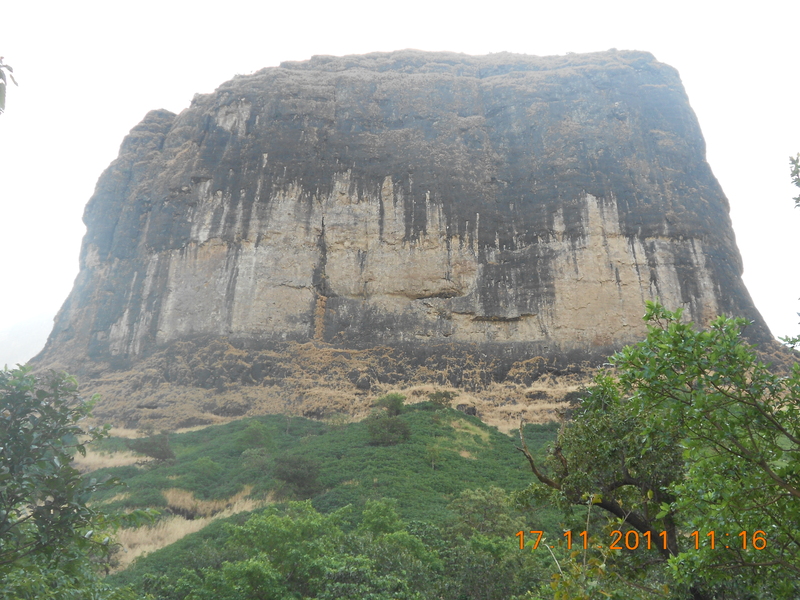 Moroshicha Bhairavgad is a prominent fort which rises steeply from konkan range making it a difficult and tricky fort to climb. The base village of Moroshicha Bhairavgad is Moroshi. 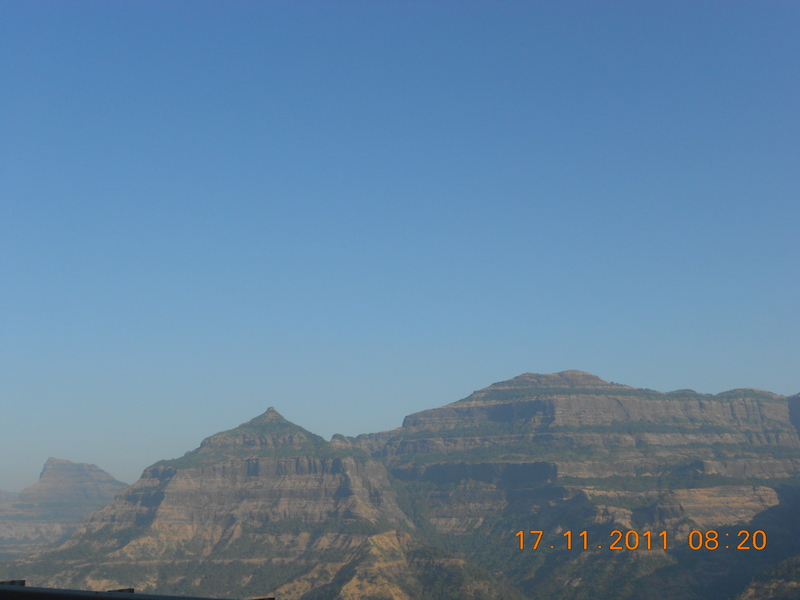 While travelling from Malshej ghat one can clearly see sharp wall like pinnacle separated from main range near Moroshi. 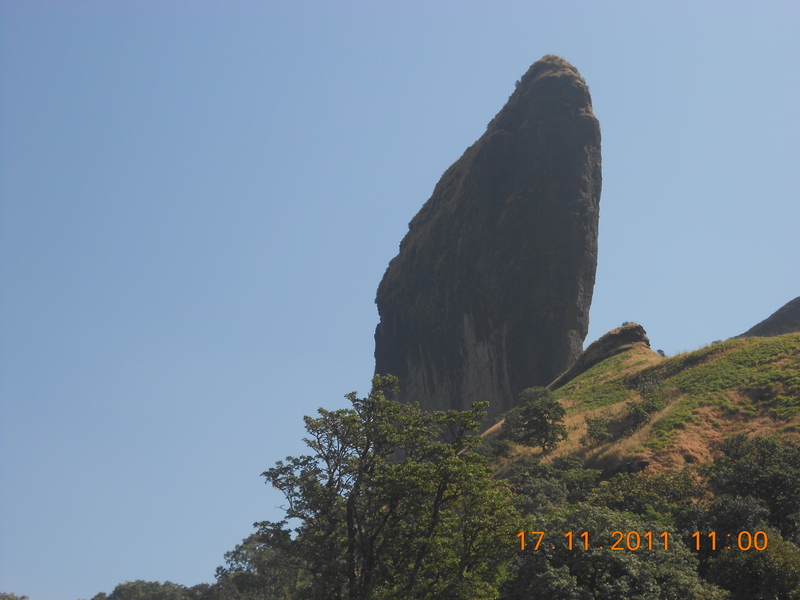 The top of Moroshicha Bhairavgad is created by the geological structure known as a dyke and the final stage on the rock mass is very fascinating. 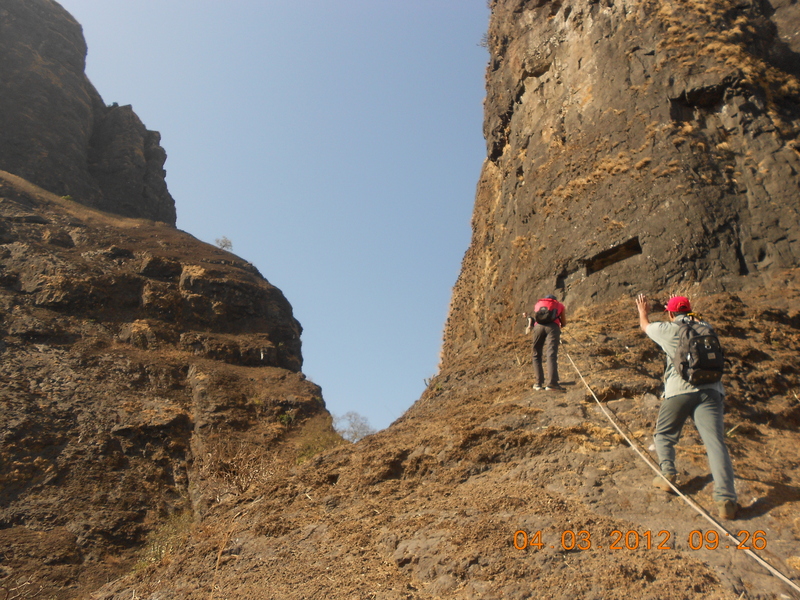 Moroshicha Bhairavgad happens to be only fort built on a dyke making it a must see wonder for trekkers. 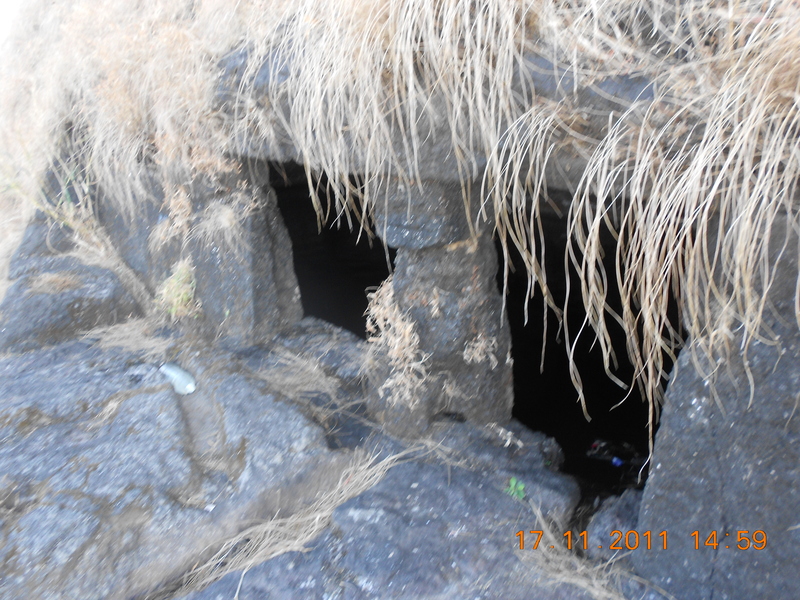 Moroshicha Bhairavgad must have been very important as it holds very strategic location. 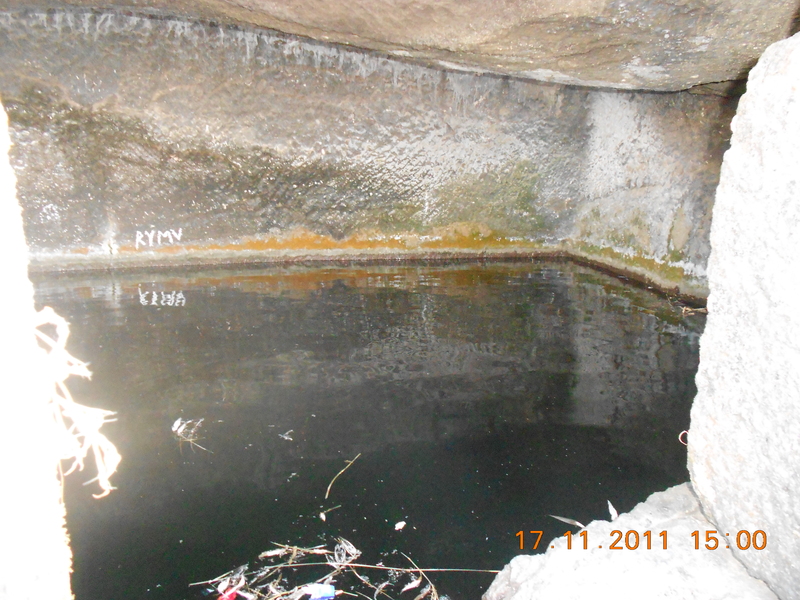 Water tank at east side is also subject of study, how to preserve the water which is draining from the hill. Last date of Enrollment: Before 3 Days of Event or till seats left. Departure Date & Time: Day 1 by sharp 11.30 pm from SP College, Tilak Road. Arrival Date & Time: Day 2 around 08.30 pm at SP College, Tilak Road. Reporting Time and Place: Day 1 by sharp 11.15 pm at SP College. 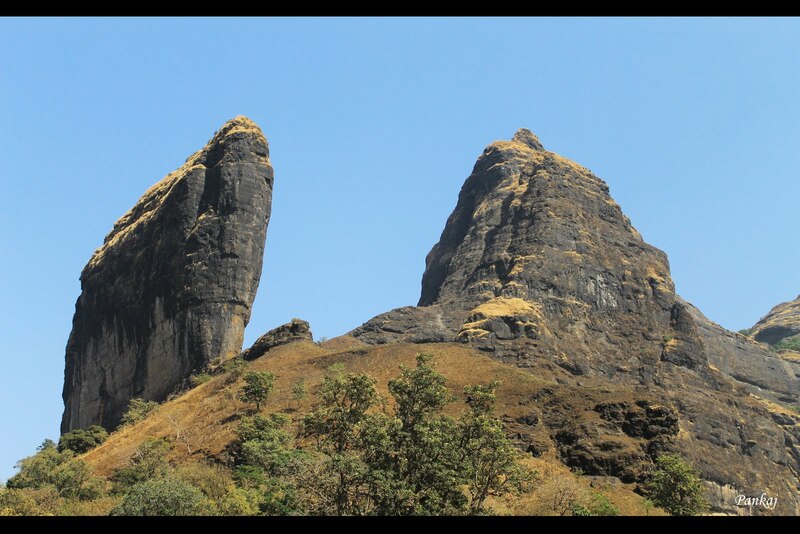 Walking Time (estimated): 2½ hour to reach the Top from Base Village & 2 Hours to get down. Mode of Transport: Pune to Pune by Non AC High back Vehicle. 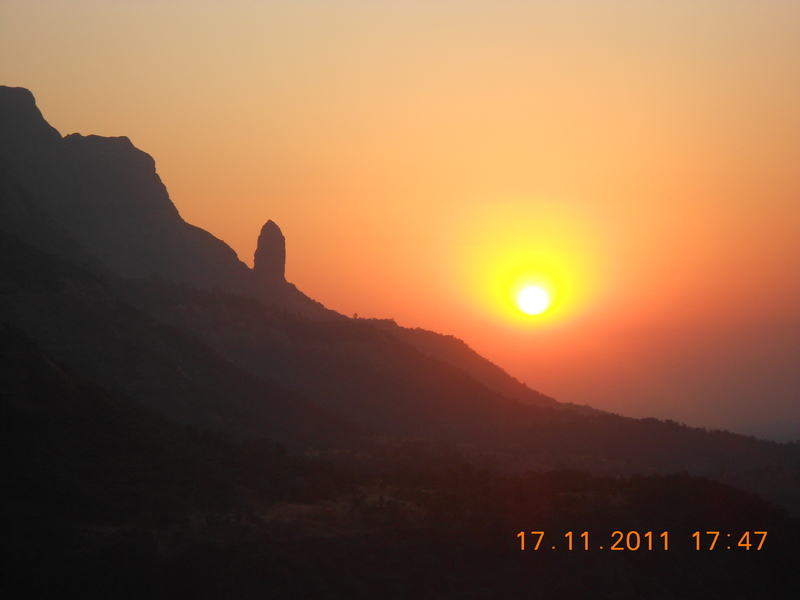 Route: Pune – Nasik Phata – Rajgurunagar – Ale Phata – Malshej Ghat – Moroshi – Pune by Private Non AC High back Bus. Gather at SP College, Tilak Road. Give attendance to the Team Explorers. After attendance bus will depart for Moroshicha Bhairavgad. Have morning tea & breakfast. 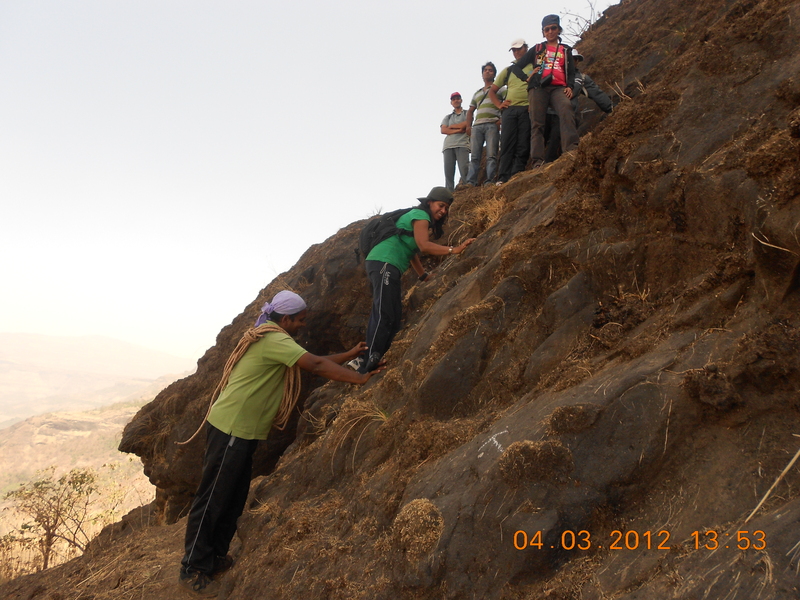 After briefing about the trek & instructions immediately Start trek towards Moroshicha Bhairavgad. 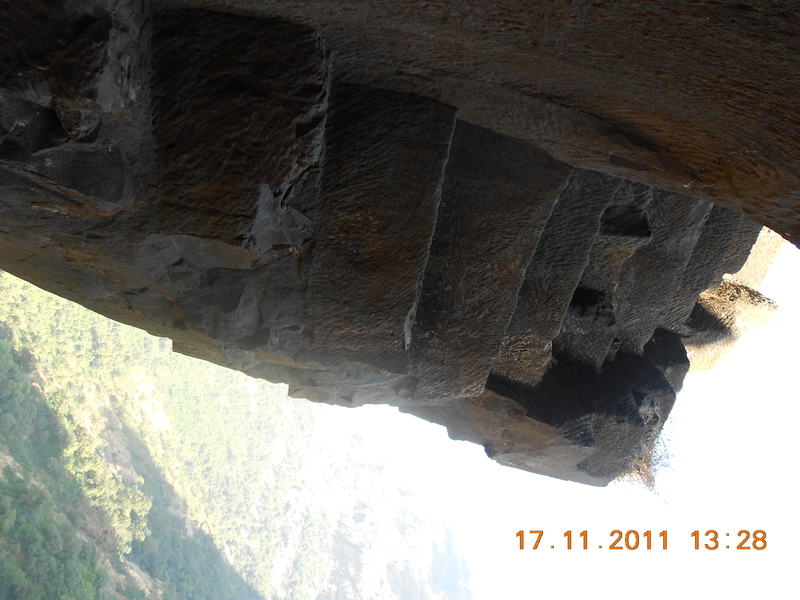 Reach Bhairavgad Steps. Start Climbing a small Rock patch, one by one with Safety Gears. 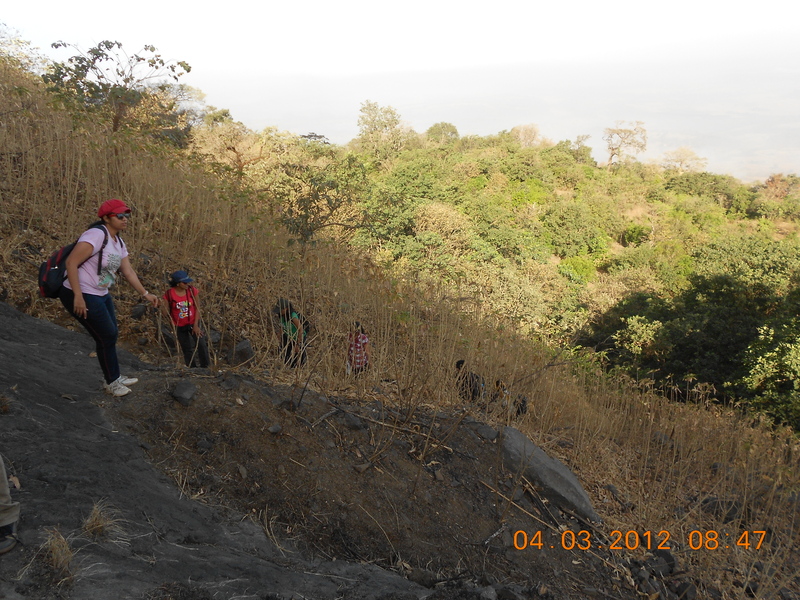 Reach the Top of Moroshicha Bhairavgad. After the View immediately start Descending. Descend the Rock patch one by one. Be patience while others are climbing or Descending. Reach Water Tank. Fill up the Water bottles & Start Descending the Fort. Reach Base Village. Lunch at Local Hotel. Start return journey towards Pune. Evening Tea on the way. Reach SP Collage Tilak road, Pune via same route. We may come to Pune ONE hour before or after the given time. Transportation by Non AC High back Private Vehicle. Morning Tea & Breakfast (Limited), Lunch (Pure Veg.-Unlimited), Evening Tea only..